Iselin, NJ | February 6, 2018, Offit Kurman is pleased to announce that Umar A. Sheikh has joined the firm’s office in Metropark, New Jersey, as a principal-level attorney. He joins a team of attorneys with experience in various legal service areas, including real estate, financial institutions regulatory matters, insurance recovery, commercial litigation, and more. Umar A. Sheikh is an attorney with over fifteen years of practical experience, having received his JD from Brooklyn Law School in 2000. Mr. Sheikh’s practice concentrates on all aspects of real estate law—purchases, sales, financing, development, leasing, evictions, foreclosures, management—and those areas of law that are related to real estate—corporate, tax, asset protection, estate planning, and litigation. He regularly represents parties in the purchase, sale, and financing of multifamily, mixed-use, commercial, and retail properties. He also represents borrowers in CMBS transactions, hard money lenders, and “fix and flip” investors. In addition, Mr. Sheikh provides outside general counsel services to small and mid-size companies, as well as foreign investors and entities doing business, real estate or otherwise, in the United States. 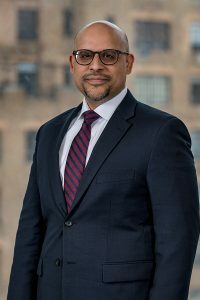 Aside from his role at Offit Kurman, Mr. Sheikh currently serves on the Board of Directors for Muslims for Peace and has previously served on the Board of Directors for the Asian American Bar Association of New York. "We are honored to welcome Umar to our firm," said Offit Kurman Managing Principal Tim Lynch. "He is an exceptional attorney and an ideal addition to our ever-growing team in New Jersey. Our attorneys look forward to working alongside him, and I know that our local clients will benefit from his unique experience." To get in touch with Umar Sheikh, please visit his attorney page. More information about Offit Kurman’s comprehensive legal services can be found here. For details and directions to Offit Kurman’s office in Metropark, click here.